Locate Parts Now! or Contact Us Now! Locate Parts or Contact Us Now! Buying recycled automotive parts reduces your repair costs without sacrificing quality. When you buy a recycled automotive part for your vehicle from an authorized Automotive Recycler, like Hotch’s Auto Parts, you are ensuring the original OEM part made for your vehicle that has been road tested and proven to function. The best part – you are paying about half the cost. Combine this with Hotch’s Auto Parts 101 day warranty for unbeatable value! Hotch’s Auto Parts has been serving the automotive industry since 1984. Located off the 401, south of Belleville, Hotch’s Auto Parts has grown from a sole proprietorship to employing over 20 knowledgeable and experienced staff. We provide recycled or new parts for replacement and repair purposes on all vehicles. The yard is situated on 20 acres of land and boasts 17,000 square feet of warehousing containing over one million pieces of inventory, all of which are computerized and barcoded. Certified technicians and class A mechanics ensure all parts are of the highest quality. At Hotch’s Auto Parts the auto recycling process has always reflected environmental responsibility. All fluids are drained and stored for reuse or recycling. Tires, batteries and fuel tanks are removed and recycled or disposed of appropriately. 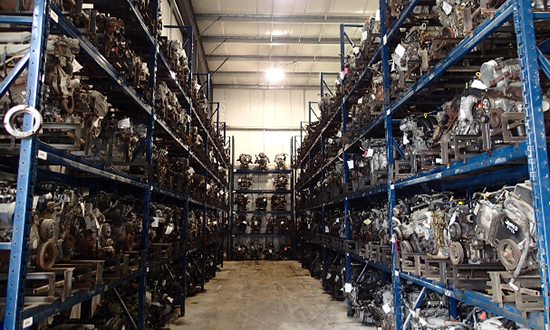 Quality useable parts are removed for sale and are separated to make new vehicles and the cycle is repeated. Our recycling business is good for you and the environment. Automotive recyclers provide wholesale and retail customers quality parts that sell for up to 50% less than the comparable new parts. Automotive recycling businesses employ some 103,108 people at more businesses around the country.